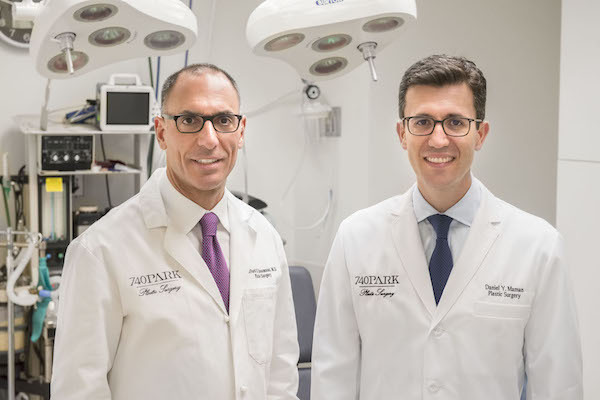 740 Park Plastic Surgery is excited to announce that Dr. Daniel Y. Maman and Dr. Stafford R. Broumand have been recognized as two of the New York Metro Area’s Top Doctors in Plastic Surgery for 2017! Put together by Castle Connolly Medical Ltd., this esteemed directory is formulated each year to help prospective patients locate the nation’s best physicians in various medical specialties so that they may receive an optimal quality of care for their healthcare needs. No medical practioners can pay to be named a Top Doctor. Instead, Castle Connolly reaches out to over 50,000 healthcare providers all over the country, asking them to vote for fellow physicians who they feel epitomize excellence in specific fields of medicine. When all peer votes are collected, a special physician-headed research team at Castle Connolly conducts a thorough screening process of each candidate nominated for inclusion, carefully examining such credentials as medical education and training, hospital affiliations, society positions, past disciplinary actions, and more. Once vetting is complete, those who received the most peer votes (and who are considered qualified for the honor by Castle Connolly) are named Top Doctors in their specialty and community. 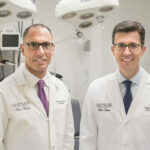 Dr. Maman and Dr. Broumand say they are both extremely humbled to be regarded as top plastic surgeons in New York City by their fellow physicians. 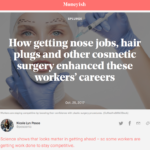 They aim to provide an exceptional level of aesthetic surgical care to every patient who comes to them for help, and they note that this recognition only provides more motivation for them to continue doing so. If you are interested in breast augmentation, facelift surgery, or any other type of surgical or non-surgical cosmetic procedure in the NYC area, we encourage you to contact our practice today to schedule a consultation. Dr. Broumand or Dr. Maman will be happy to meet with you and customize a treatment plan that can effectively achieve your goals.